If you own a boat, then you probably know that there are things that need to be replaced from time to time. One way to save money on boat parts is to get discount marine parts online. There are usually sales on products online that you might not find in a store. Some companies will offer promo codes and send coupons to your email that you might not find anywhere else. This is an easy way to get the replacement parts for something that is valuable to your family without spending a lot of money. Another benefit of ordering replacement parts online is that you can easily compare various brands. You can also find items online that a store in your city might not carry. After you place an order, the items are shipped to your home, or you might have the option to get them shipped to a store near your home if the item is large. You will be able to track your order so that you know exactly where it is and when it should arrive. This is a benefit if you need something in a short amount of time to get your boat back in the water. This entry was posted in Recreation and Sports and tagged boat part replacement, marine parts on October 30, 2014 by Yami. 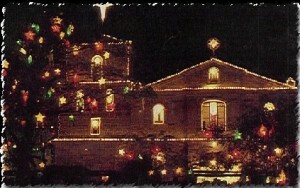 Philippines is known for having the longest Christmas celebration in the world. You know it’s Christmas when radio stations start to play Christmas songs (sometimes with epiphone sg guitar accompaniment) as early as September 1. In the Christian tradition, Christmas celebration ends in the first week of January which is the Epiphany or the visit of the Magi (Three Kings) to the infant Jesus in Bethlemen. Some Christmas traditions and festivities are also observed differently from one region to another. The most popular of which is MISA DE GALLO. This entry was posted in Holidays, Occasion and tagged Christmas Festivities in the Philippines, Christmas in the Philippines, Pasko sa Pilipinas on October 17, 2014 by Yami. 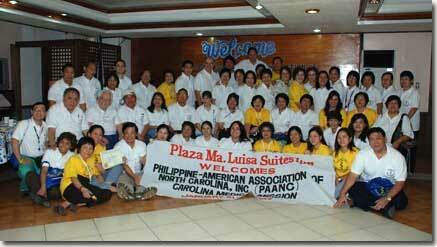 Several volunteer doctors residing in the US visit the Philippines every year to offer their services for free with the help of their counterpart doctors in the country. The beneficiaries are patients, who don’t have access to government health services or don’t even hear about www.photowrist.com. These patients live in the rural areas of the country and they couldn’t afford the services in big hospitals. The Carolina Medical Mission is a group of US-based doctors and local physicians offer free eye cataract surgery, cleft lip palate operation and patients with thyroid, gall bladder and hernia ailments. Photo taken from the CMM website. I was able to interview CMM members in one of their medical outreach programs in Metro Manila. The group especially the elder members said they have live comfortable lives in the US and it’s about time to help their kababayans who have less in life. The surgical team of the Carolina Medical Mission has already helped more than 100,000 patients nationwide since their humanitarian work began in 1990s. This entry was posted in Truly Inspirational and tagged Carolina Medical Mission, humanitarian work, medical outreach on October 10, 2014 by Yami.